Shaun the Sheep – baack in the Library! Have you seen Shaun the Sheep? He’s woolly, wily and awfully cute – and you can find him in the Library! Shaun the Sheep is now one of the most successful animated characters ever. He’s wildly popular not only in English-speaking countries, but also in Japan, China, Indonesia and the Middle East. A recent exhibition in Tokyo attracted 30,000 visitors in only five days! 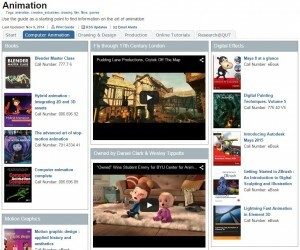 And if you’re interested in animation, our Animation Subject Guide is a great place to begin your investigations!